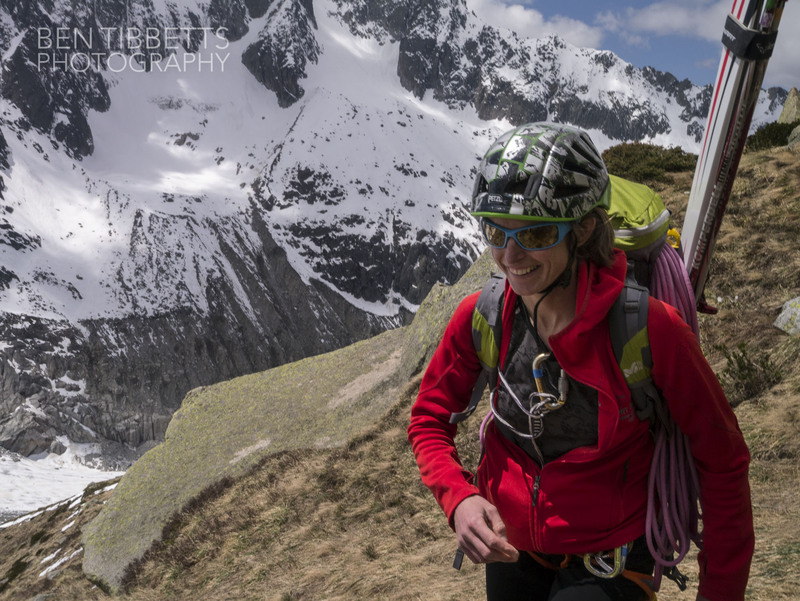 We arrived at Montenvers and looked across the Mer du Glace to where we were heading and were somewhat bemused by the lack of snow in evidence. It looked almost like summer conditions from down below. We discussed ditching the skis but eventually, and thankfully, resigned to carrying them on our backs up into the Charpoua basin. 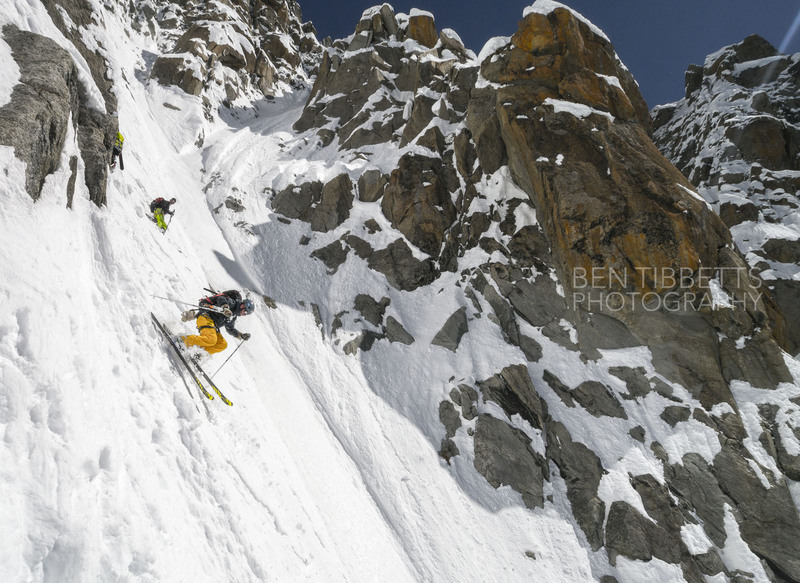 We were heading up with the idea of climbing either the Y Couloir, or Naia which friends Jon + Ally had climbed recently. 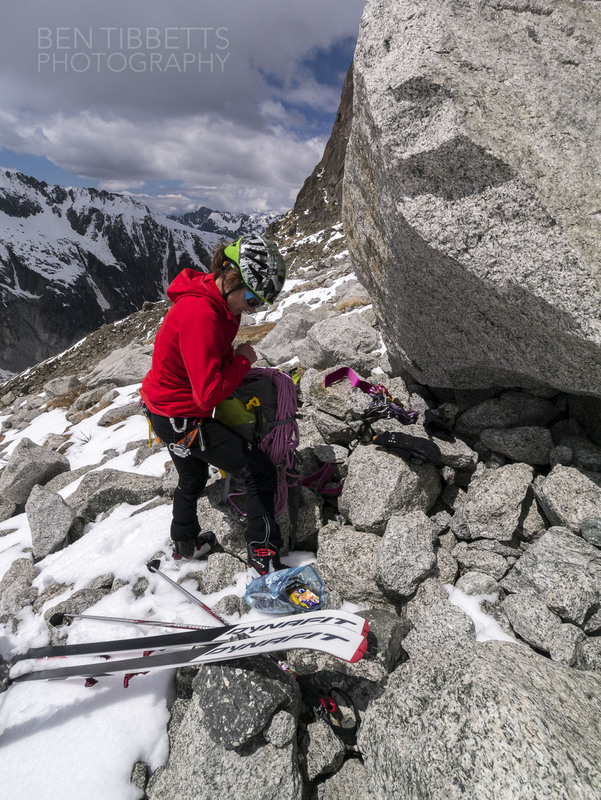 From their photos Naia looked pretty thin, and so we figured the classic Y Couloir should be much easier if Naia didn’t appeal. At about 2400m we crossed the glacial outflow of the Charpoua and reached a rather binary snow-line. Very thankful to have skis as the midday snow was deep and moist. 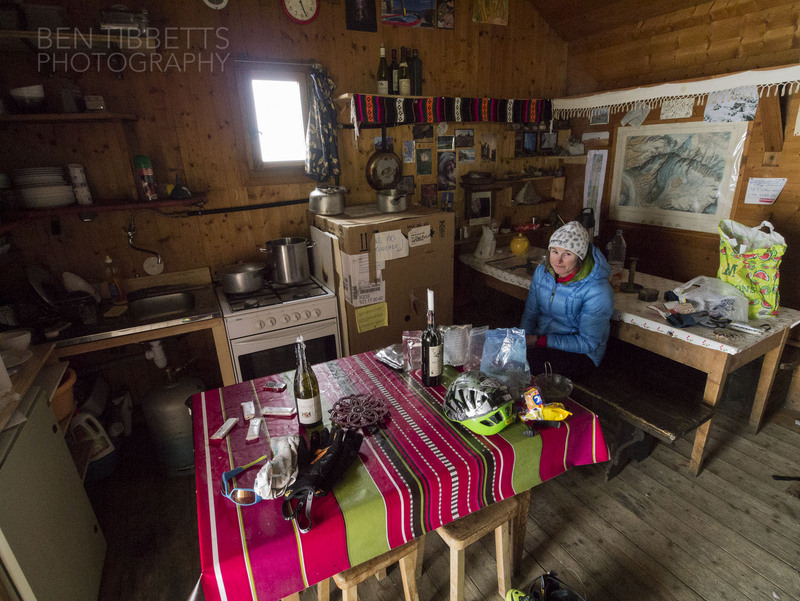 We reached the hut a couple of hours later and chilled out for most of the afternoon. Cloud came in well before we arrived at the hut and so it was distinctly chilly. Any water left in pans was frozen and the hut gas supply was empty. Last time I was here was last summer in stifling heat. 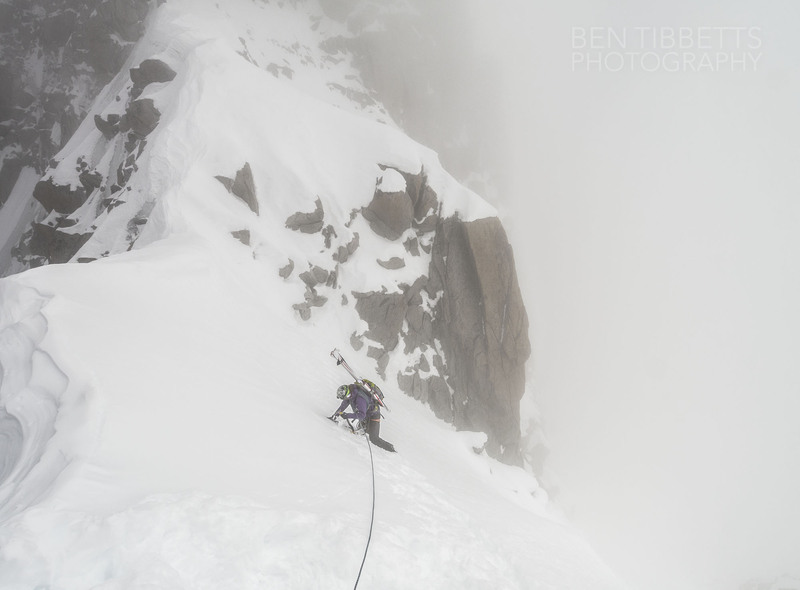 Unfortunately the cloud also meant we couldn’t have a look at the route conditions, so we defaulted to trying the Y couloir. We were surprised all afternoon that no-one else arrived on a Saturday with a good forecast. Finally around 7pm two weary folk turned up also with the Y couloir in mind. Apparently there had been about three other teams in front of them walking in without skis or snow shoes who had reached the snow line and had to turn back. They cooked slowly and went to bed pretty late. They then got up well before us at 12.30pm and made such a lot of noise for such a time it became comical. We got up and left some time after 4. 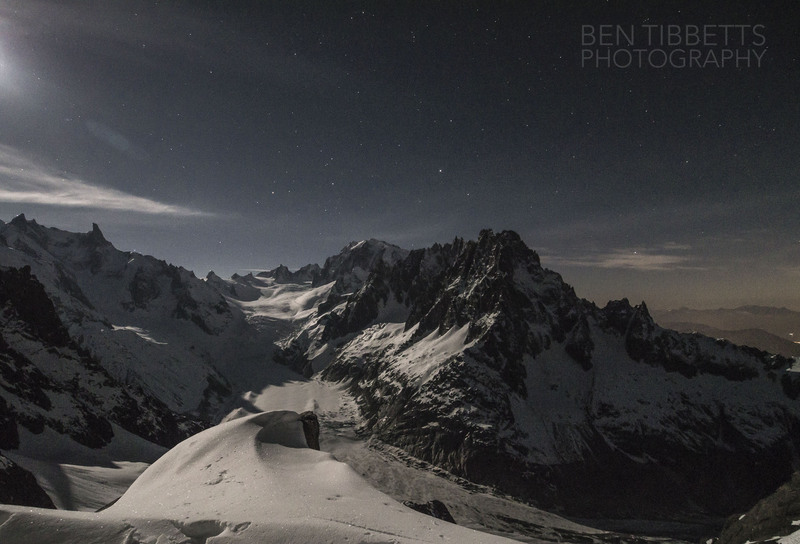 A quick compact snap of the Charpoua view, finally revealed under moonlight once the clouds had dispersed. We skinned up slowly towards the rimaye… or rather I skinned pretty slowly as I was feeling groggy. 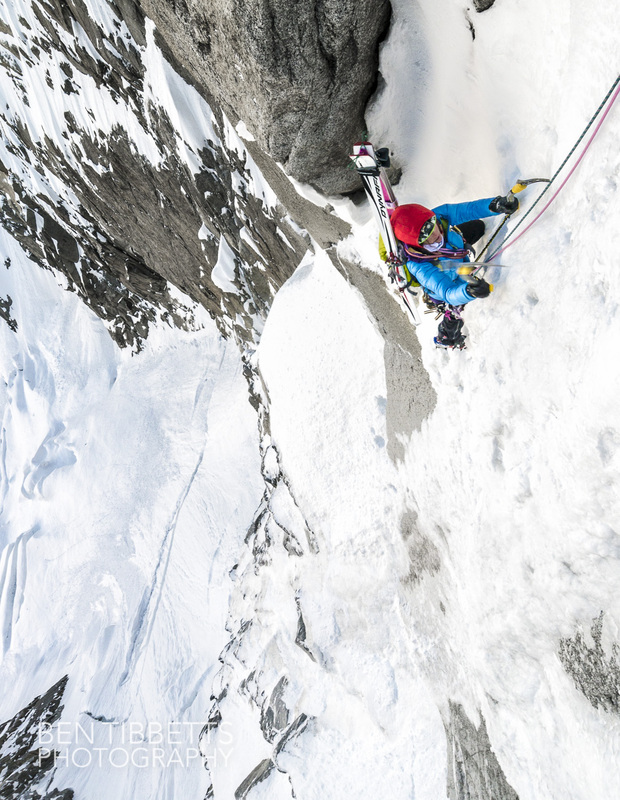 Valentine seemed pretty full of beans and lead off over the rimaye to belay below an ice bulge. The step up into the gully was only a few metres high but was a rather aggressive wake up on thin delaminating ice. We swung leads for the next 5 pitches which alternated between slabby terrain and steep 25m pitches of thin ice. 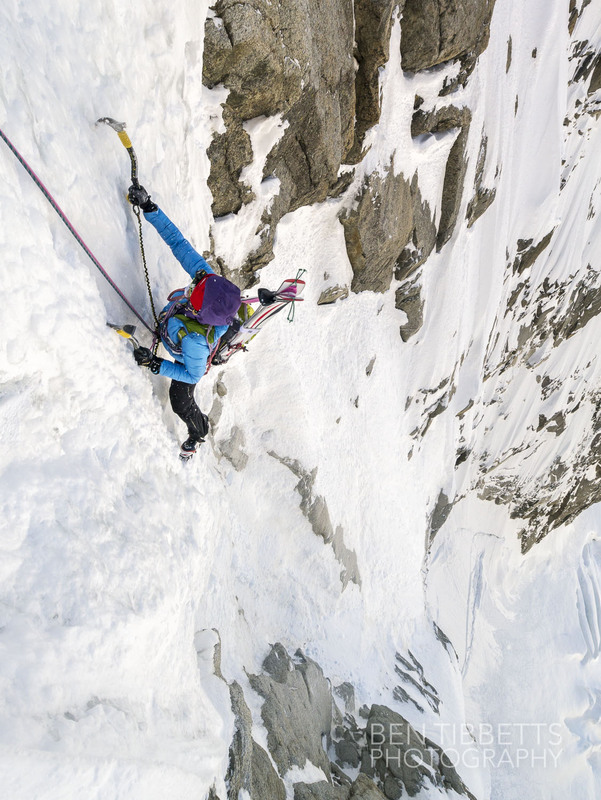 The first of the steeper pitches. Pretty thin ice on 80º slabs. Not quite what I expected from the route description, but fun nevertheless! Valentine racing up the fourth pitch. Valentine getting a snow shower. 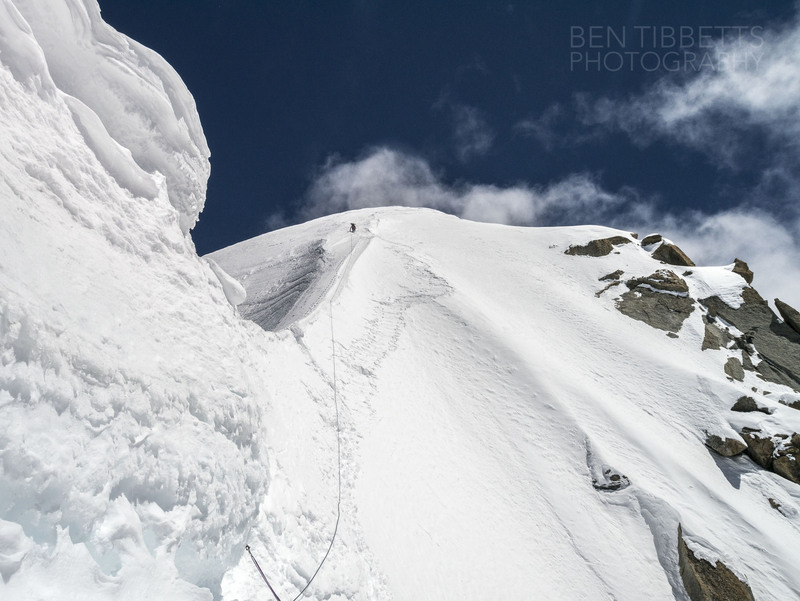 From about the third pitch onwards we got pummelled with snow sluffs at regular intervals. We had left the hut rather late to get on the route, but it still seemed pretty surprising how much snow was coming down. The other team were a now just ahead of us on the route but it certainly wasn’t them knocking down all the snow so I assumed it was the sun hitting the top slopes. It was a little frustrating as I was nearly getting pulled off on the steeper sections. Valentine on the last ice pitch. To be honest I was pretty surprised by how steep the first section of the route was and how long it took us. 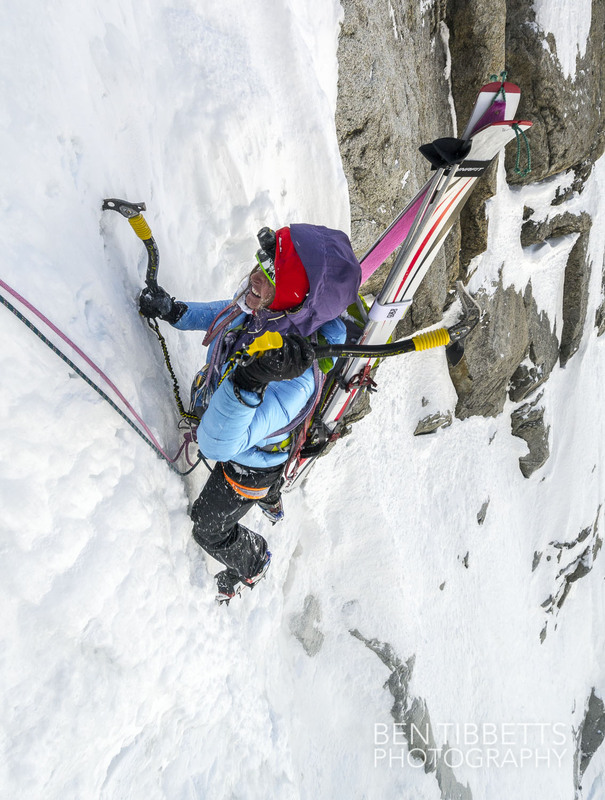 Especially as the route is feasible as a steep ski. At this point I was thinking to myself that about the only person I knew psycho enough to be skiing up here was Ben Briggs, and even then these sections would have to be rappelled. Looking over left at Naia it looked in that there the difficulties were much more condensed and it might have been quicker to climb that… ho hum. 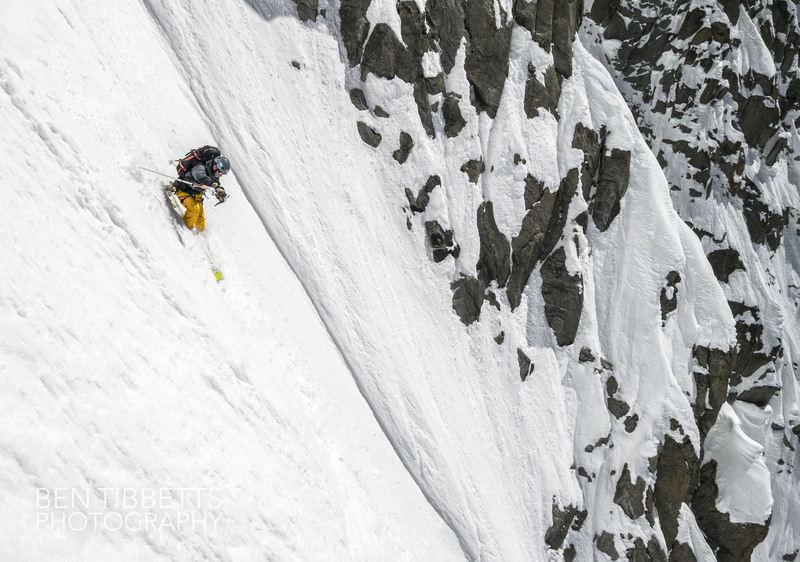 Jesper Petersson and Mikko Heimonen in the Y couloir. Valentine near the top of the Y couloir Left hand branch. 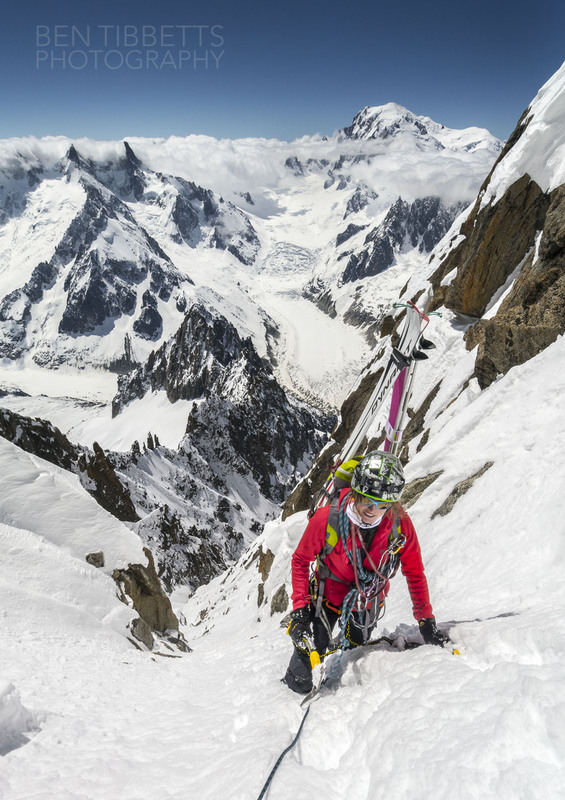 We took the far left branch all the way up the couloir… the other climbers ahead of us took a subsidiary right branch after the true right-hand branch and ended up in a cul de sac. They rappelled down and followed us up. By the time we had got up to the upper section of the route it was late morning and we were baking under the intense sun. 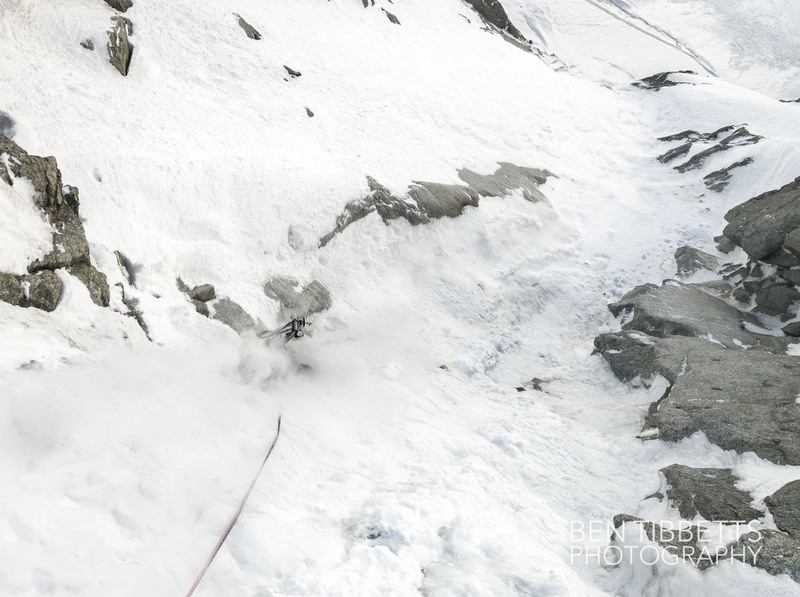 The snow also was softening fast so we put the rope back on and simul climbed the rest of the couloir. 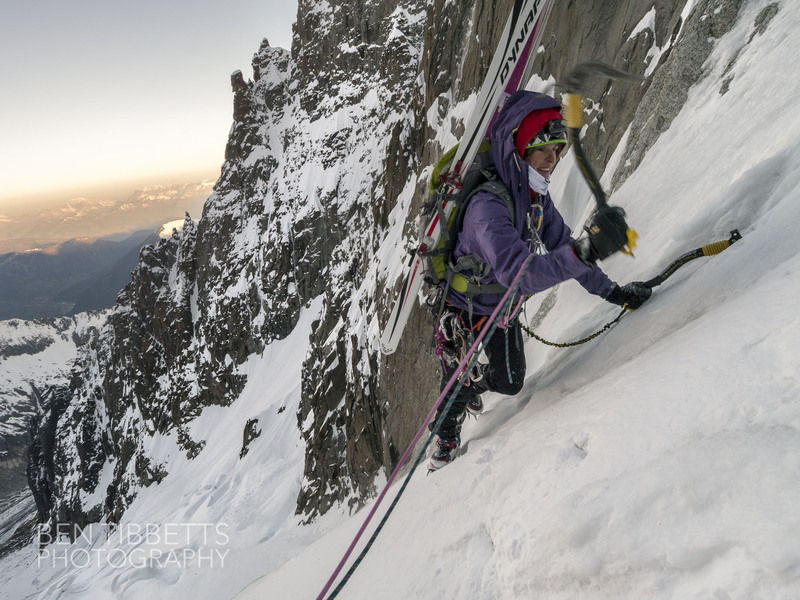 Valentine exiting onto the summit ridge of the Aiguille Verte. Ski tracks visible to the right. 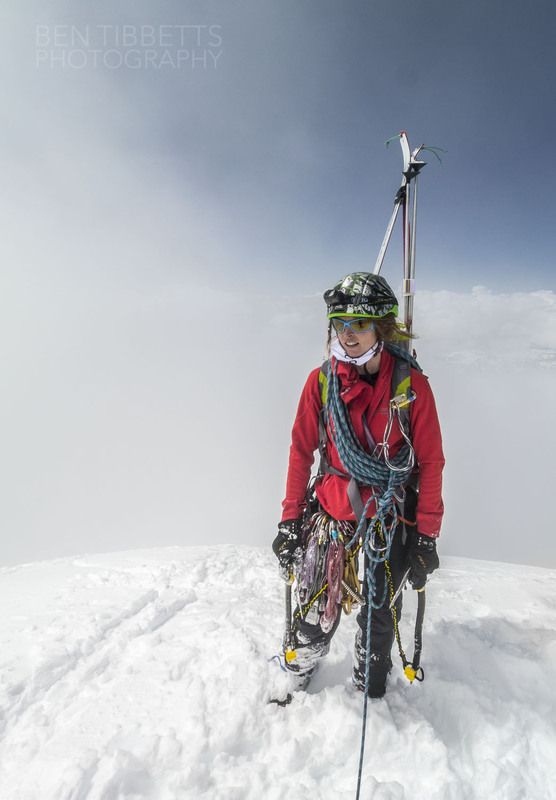 By the time we hit the summit it was already swirling in the clouds so unfortunately no great views. 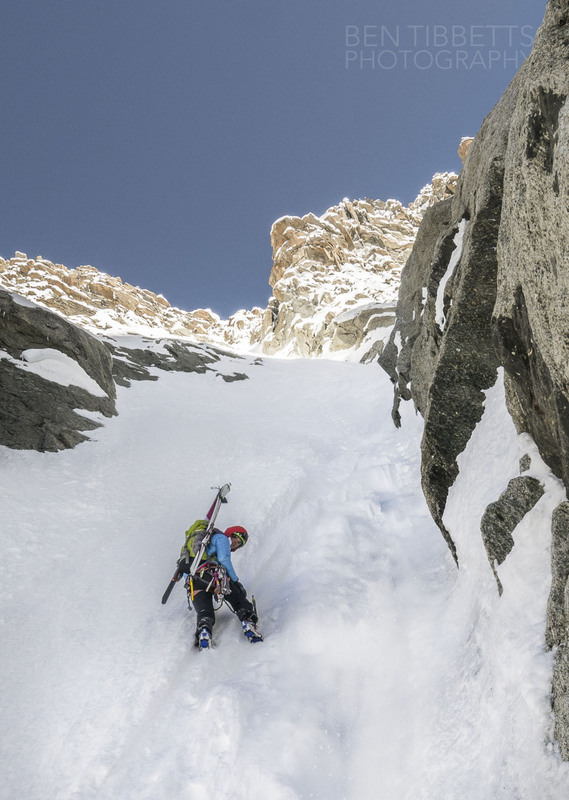 We followed the ridge down to the col and into the Whymper couloir. 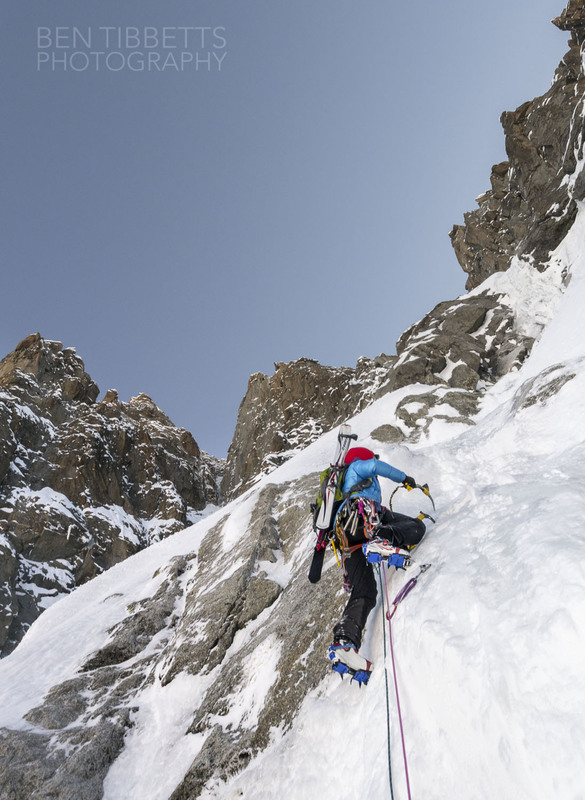 I had had it in mind that we might ski the Whymper, but having got a bit cooked on the way up we were a bit too tired to do battle with skinny race skis and heavy packs so rappelled most of the couloir. 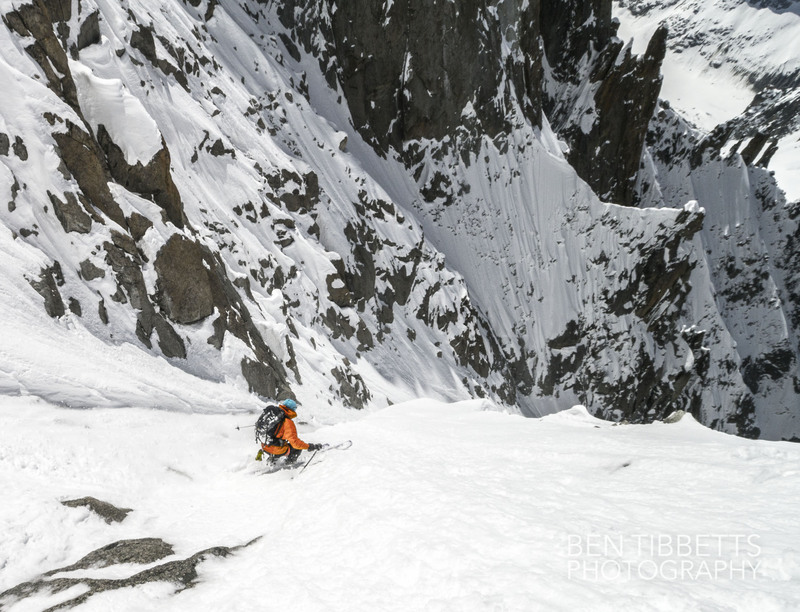 Inevitably the lower we got the more rotten and cooked the snow was, and we ended up skiing some pretty horrendous slush down the Talèfre and so to the Lechaux, Mer du Glace and the long walk home to Chamonix.